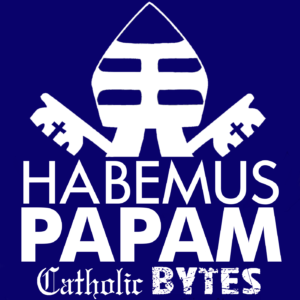 Does it seem like Catholic Bytes Podcast publishes its episodes in a random order? Well, we do. But that doesn’t mean we don’t have a plan! We have 400+ episodes planned which when completed will create a systematic overview of Catholic faith and life for use in personal study, catechesis, and other teaching settings. See the sortable and searchable table below for a breakdown of our published episodes in systematic order. Fr. Christian Irdi Theological Foundations A Telling Universe: Does God Exist? Fr. Daniel Russo Theological Foundations Is Revelation Credible? Fr. Peter Heasley Scripture: Commentary What’s in a Name? Fr. Llane Briese Scripture: Commentary Romans 3:21-26: Justified. Fr. Paul Haverstock Scripture: Commentary Purgatory: Are You Perfect? Fr. George Elliott Saints St. Jerome’s contribution to the Church… easy access to the Bible! Fr. Daniele Russo Doctrine: Creation Ex Nihil-what? Fr. Paul Haverstock Doctrine: Salvation Redemption from sins… In practical terms! Fr. Charlie Fox Doctrine: How It All Ends Imagine: Heaven. Fr. Conrad Murphy The Moral Life: Basics Concupiscence: Good or Bad? Dcn. Nathan Ricci The Moral Life: The Virtues Passions: Sicknesses of the Soul or Aids in Virtue? Fr. Scott Murray The Moral Life: Bioethics Capital Punishment: Dehumanizes or Defends Society? Fr. Tim Furlow The Moral Life: Bioethics Legitimate Defense: Is Killing Ever Okay? Fr. Jim Morin The Moral Life: Family and Marriage Sexual Shame: A Hindrance or a Help? Fr. Charles Fox Liturgy: The Basics Go. Fr. Alec Scott Liturgy: The Sacraments Anointing of the Sick: What does it do and who needs it? Fr. Alec Scott Liturgy: The Sacraments Clerical Celibacy: Why? Fr. Alex Padilla II The Spiritual Life: Prayer You’ve got a friend in… the saints! Fr. Conrad Murphy Catholic Bytes 2.0 Why does Metaphysics Matter? Fr. Rich Miserendino Catholic Bytes 2.0 Science! Fr. Conrad Murphy Catholic Bytes 2.0 How Many Sacraments Are There?